It is always a highlight for me during fashion week to see my "Style Heroine" show her collection. 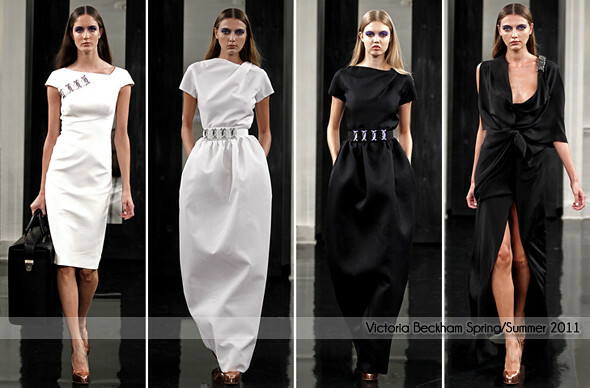 Victoria Beckham was previously known for corset-fitting dresses but this season, she designed looser fitting dresses. The 26 dress collection was showed at a home on New York's Upper East Side on September 12, 2010. With Victoria Beckham's personal style loosening up, it definitely reflects in her work. She's definitely expanding the collection and experimenting with different types of silhouettes making women look good. Having be a fan of her style for about 3 years now, I definitely see some similarities in the designer dresses she have worn before. Like Giambattista Valli, Pencey and many more. Victoria Beckham also presented "Cat Eye" and "Mirrored" sunglasses in her presentation. Like her Fall 2010 collection, the shoes were designed by Brian Atwood. 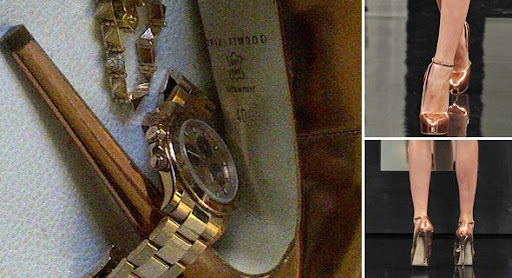 Victoria Beckham inspiration for the shoes were her rose gold Rolex watched gifted by David for her birthday. The highlight of the collection for me was her bags (of course)! We all know Beckham is a huge lover of Birkin but! : "A Beckham can replace your Birkin." Naming the bags after herself "Victoria", because she is going to use it everyday. On her travel luggage bag : "I had to put something in David could use," "You can take this on the plane and throw your tracksuit in there - it really does fit everything." 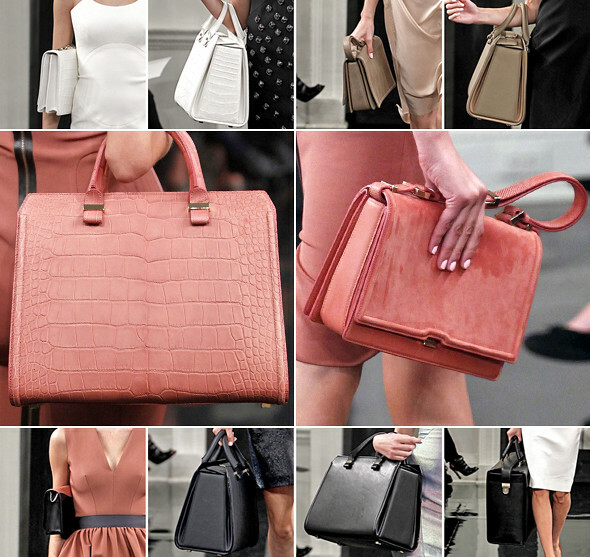 PS/ Victoria Beckham have previously worked with Japanese label, Samantha Thavasa on a collection of bags. Immediately after the show ended, she was seen leaving with the "Victoria" bag which is absolutely no surprise to me. I'm pretty sure she will be seen toting her luggage bag while heading back to Los Angeles and we will definitely be seeing her in her Spring/Summer 2011 dresses for the next few months. View the entire collection on style.com. i love her collection and her bags!!! =) i think the line "a beckham can replace a birkin" is cute haha i just wish the price is a bit cheaper.